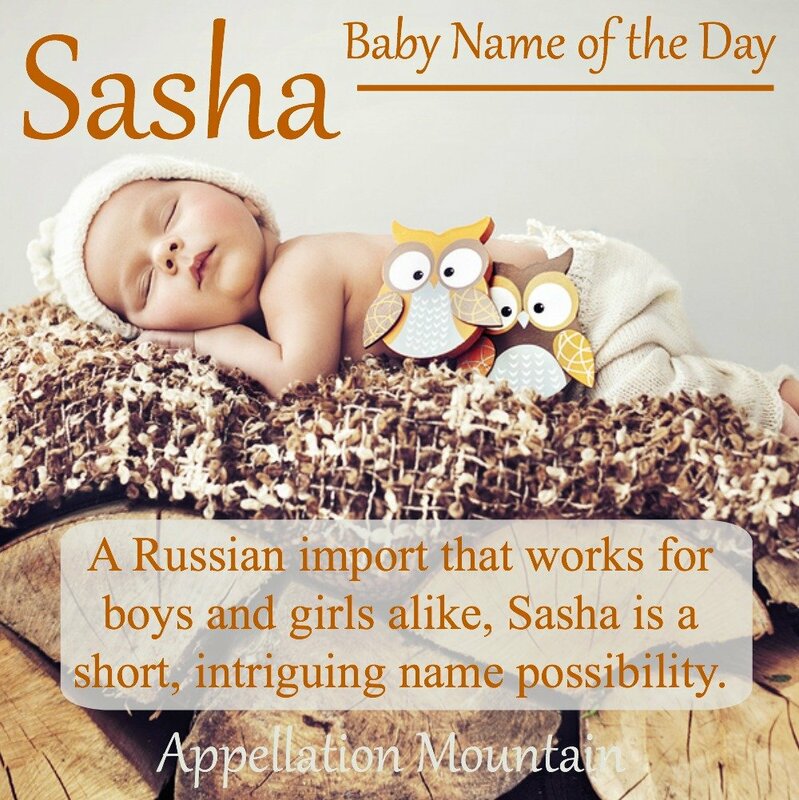 Sasha is a short, unisex name that is more versatile than you might think. In Russian, many a masculine diminutive ends in a. think Mischa, short for Mikhail, the Russian form of Michael, and Pasha, short for Pavel, the Russian form of Paul. Sasha typically comes from Alexander. Well, make that Aleksandr. But it can be short for the feminine Aleksandra, too. In French, the spelling switches to Sacha; in German, Sascha. The name also serves as a short form of Natasha, at least in English. While the use pre-dates the election of President Obama, the fact that Barack and Michelle’s younger daughter is a Natasha who prefers the nickname makes it feel even more familiar. Regardless of roots, usage gives this one to the girls in the US. In 2015, just over 600 newborns received the name. About .05% were boys. 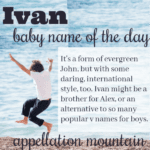 And yet, the name is growing in popularity for boys, possibly thanks to a few high-profile uses. Comedian Sacha Baron Cohen wears a spelling variant of the name. In the US, there were 12 girls and 13 boys born with the -cha spelling in 2015. Liev Schrieber and Naomi Watts use the nickname for their son, Alexander Pete. Chris Hemsworth and Elsa Pataky gave this name to one of their twin sons in 2014. His brother is Tristan. Sasha debuted in the girls’ US Top 1000 in 1972, and peaked at #147 in 1988. As of 2015, the name ranked #542 for girls in the US. What sparked the name’s rise? One possibility is a 1969 novel by Barbara Corcoran. In Sasha, My Friend, the name belonged to a wolf cub raised by a girl named Hallie. Corcoran found success with young adult novels in the era, and yet … it doesn’t seem like a big enough reason for the name to catch fire. There was an actress by the name, and a few other high profile uses that might have boosted Sasha. But maybe it was just the sound. Circa 1970, you would also find these names in the Top 300: Alicia, Marsha, Natasha, Shana, Shawna, Sheila, Shelly and Shelley, Sheri and Sherry, Sheryll, Patricia, Tricia, and Felicia. Sure enough, we see a bump in the number of girls given the name in 2008. It rose from #360 in 2008 to #261 by 2009. The Beyonce bump faded quickly, but a shimmer remains. There have been other prominent uses. Figure skater and Olympic silver medalist Alexandra Cohen used the nickname. Sonequa Martin-Green plays Sasha Williams on The Walking Dead. As a given name, Sasha feels like a fresh possibility for a son. Boys’ names ending in a include #1 Noah and former #1 Joshua, plus plenty Ezra and Luca and plenty of other stylish picks. But don’t count this name completely out for our daughters. While Sharon and Sheena are in the past, Sasha – especially as a nickname – remains an intriguing option. 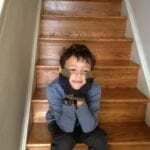 This post was originally published on February 15, 2010. It was substantially revised and reposted on July 25, 2016. I would love to read more about Sasha, did the rest of it get archived? Oooh! I love Mila as a nickname for Milena or Amelia/Emilia. I love this name ! I have a weakness for ‘s’ names. It’s one of those names that I can see on either gender & I don’t have a problem with it being on either gender. Unlike a name like Aubrey or Kendall, which I ONLY mind on girls & not boys,even though they started on boys. I really like Saskia. Sasha would be a cute nickname for it! The ‘a’ ending sounds feminine to my ear… and that’s coming from someone who speaks Russian (albeit very poorly these days). While Sasha isn’t entirely feminine to me (I have known several male bearers of the name, starting with a high school classmate), its similarity in sound to Natasha gives it a girly vibe. The spelling of ‘sch’ is probably trying to replicate the unique letter in the Cyrillic, as you mentioned (there are two different ‘sh’ sounds in Russian). But both the male and female Sasha are spelled the same in Cyrillic, so a distinctive transliteration is definitely wishful thinking, as you point out. 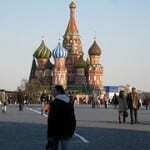 Just a quick note on the Russian Peter… you’ve got a little typo – it’s Pyotr. I’m not a huge fan of the name, regardless of gender… but there’s nothing wrong with it, it’s just too sibilant sounding for my tastes. […] Back in 2009, I wrote about Angus.